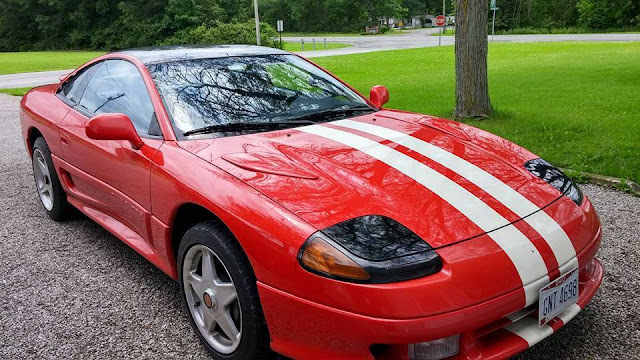 The Dodge Stealth was a badge engineered version of the Mitsubishi 3000GT -- imported into the USA around the same time as the Diamond Star Motors imports (Eclipse/Talon/Laser) but the Stealth and 3000GT were both built in Japan. The only difference between the Mitsu and Dodge version were cosmetic, and personally, I like the looks of the Stealth in Twin Turbo form because of the zany mid-stop rear window wing on the Stealth...but I've been known to enjoy odd cars. Find this 1991 Dodge Stealth Twin Turbo offered for $8,000 in Cecil, OH via craigslist. Tip from Rock On! 74,000 miles on body/drivetrain, around 5000 miles on new motor. Motor is out of a 1996 so it's a 4 bolt motor with forged bottom end. Upgraded 15G turbos, battery relocation to the rear. All OEM gaskets/sensors used during rebuild. All sensors replaced during rebuild. Transmission gone through at time of rebuild, worn parts replaced. Oil pressure holds 18-20 psi at idle. Has also had vac reduction done. 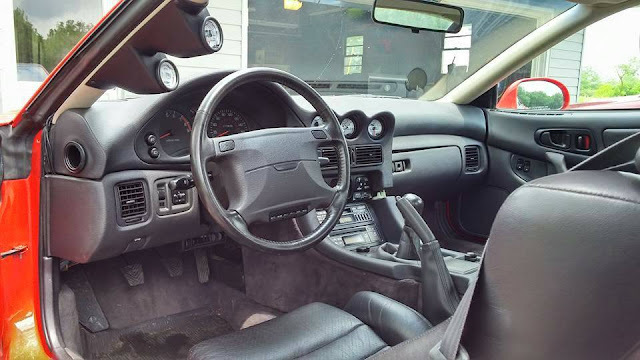 Glowshift gauges (oil, boost/vac, wideband 02, fuel, and temp) Everything works great, was a southern car, no rust at all! Runs and drives great. Only problems I'm aware of is the motor mounts will need replaced eventually and it needs an alignment. Tires are 8/10, I have 3 cars now and one needs to go, just kinda lost interest in this and working on a different project now. My loss is your gain! These cars are getting harder and harder to come by, especially in this condition!